Why You Need A Plan? 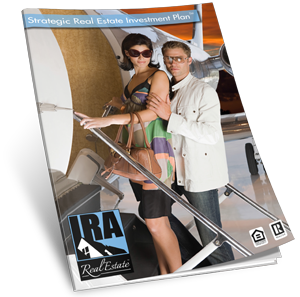 Your Strategic Real Estate Investment Plan is an essential part of your success in real estate. It is done for several key reasons. First, it is designed to give you a clear picture of where you are financially and helps determine your attitude as it effects your investment decisions. Before you begin your real estate investment career, you must establish a point of reference. You need to understand the limitations and the possibilities real estate offers based on your current circumstances. With a thorough assessment of where you stand now, we will be able to identify your strengths and weaknesses at the onset. We can determine if you are best suited as an active or a passive investor. Second, your SREIP helps us identify what we as professionals feel are your best options. The real estate investment business is broad, complex, and in some ways esoteric. Most people including less experienced real estate professionals are not aware of the wide variety of real estate investments available. We are. We have experience in many different areas of real estate. Our knowledge and experience can help you where it’s needed most. If your credit is weak, we can advise on what the steps are to improve it. If you have an underperforming Roth IRA we can advise you on how to make it more profitable. If your goal is current cash flow or creating a retirement nest egg, we need to know so we can help you achieve each goal in a realistic fashion. If you are burdened with excessive debt, we can formulate a plan to get you out of debt faster. Third, by working together we can come to an understanding and an agreement on how to best proceed, considering where you are now, what your goals are, what your investing disposition is, and what types of resources you have at your disposal. It is important that you take this part of the process very seriously. Real estate is a business, and every business that is successful starts with a plan. Yours will be no different. By giving careful thought to the questions posed here and answering them honestly, you demonstrate the right attitude, and attitude is a large component of your success.